Elizabeth has been working in the Florida real estate market since 1978, when she joined Julie “B” Realty, Inc. She left in 1985 to continue her career with Merrill Lynch Real Estate, in Longwood, FL and then with Coldwell Banker Residential, in Winter Park, FL. 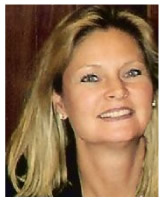 Elizabeth rejoined Julie “B” Realty in 1989, and has been a top producer ever since, for a total of 32 years. She has developed sales strategies, marketing, advertising and loan program analysis for $90M in real estate sales in Orlando area, and has been consistently recognized in the Million Dollar Club in real estate sales. Through her focus on 100% complete customer satisfaction, accountability, continuous improvement and an overall win-win philosophy, Elizabeth has won many annual sales awards and acknowledgments, including the President’s Circle, Number One in Sales, Number One in Listings, and Residential Premiere Homes by handling many high end residential and commercial properties in the Greater Orlando Area. Elizabeth not only has her own long history of achieving her own lofty sales results, she has also been responsible for the training, coaching, mentoring and inspiring of new real estate sale associates as well, helping them to achieve their goals and to become successful members of her team. Elizabeth has earned both her BBA and MBA from Belhaven College, in Maitland, Florida. She is also a member of many professional associations and groups, including the National Association of Realtors, Florida Association of Realtors, Greater Orlando Association of Realtors, Oviedo / Winter Springs Chamber of Commerce and Winter Park Chamber of Commerce. What can you expect from Elizabeth? As you venture into the Central Florida real estate market and make some of the most important financial decisions and lifestyle choices you will ever make, Elizabeth’s ultimate goal is creating a partnership with you – one that is built upon a foundation of absolute commitment to integrity, and your total customer satisfaction. Expect that she will make her many years of real estate experience and knowledge available to you, to assist you in making timely, effective decisions. She will also happily consult with you to identify your unique financial and mortgage needs, and help you obtain the specific mortgage loan program that is perfectly suited to your unique financial circumstances.